Tesco is cementing its position as a wine and spirits market leader by putting education at the forefront of its business through a Gold level Corporate Patron partnership with the Wine & Spirit Education Trust (WSET). The retail giant has reconfirmed its place as one of 11 Gold Corporate Patrons amongst an illustrious list of organisations in WSET’s partnership programme including leading supermarkets, drinks producers and distributors. Taking pride in the expertise of their BWS team, Tesco has long been training staff through WSET courses, recognising the impact that deeper product knowledge has on customers and consequently sales. The renewed partnership is part of a wider strategy for the business to further educate both staff and customers about the industry. The Corporate Patrons programme ensures that WSET receives essential funding to allow it to continue to develop its world-class courses and qualifications, as well as maintain and advance its digital learning facilities and online global campus. The programme also supports the growth of WSET’s professional membership body which provides graduates with valuable industry insights and networking opportunities through events worldwide. In turn, the mutual partnerships position organisations alongside a highly regarded international industry body and help them add value to their own business by maximising the benefits of WSET education and training. They also offer businesses facilitated engagement with WSET’s global network of over 700 Approved Programme Providers that reach thousands of influential wine and spirits professionals and enthusiasts in over 70 countries. 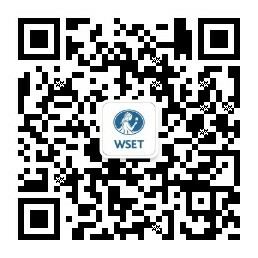 Learn more about WSET Corporate Patrons here.